This is an updated version of the Analog Sound Sensor. 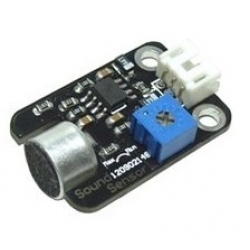 Analog Sound Sensor is typically used in detecting the loudness in ambient, the Arduino can collect its output signal by imitating the input interface. You may use it to make some funny interactive works such as a voice operated switch. Notice:The new version of analog sensor port pin mapping has been changed as the following two features.Please check the tips for changing sensor cable pin mapping while using the I/O Expansion shield. We will continue to update. For the inconvenience caused, please understand.